Some of these incredible flowers are new to us. Some are our "old favorites". We hope you enjoy these beauties! ​This amazing plant will change colors before your eyes! 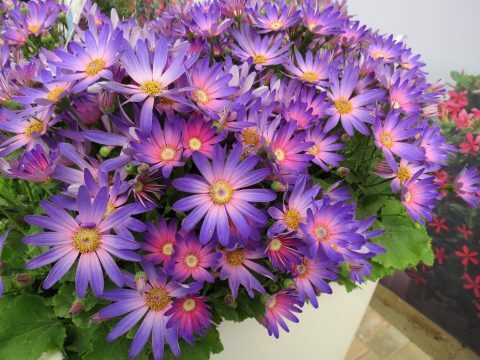 Blooms start out dark periwinkle blue and expand with salmon pink centers. 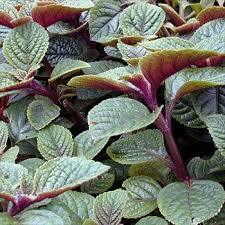 Beautiful foliage that has a green with purple coloring. 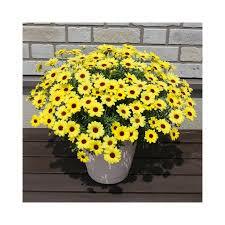 Beautiful yellow flowers with brown center. 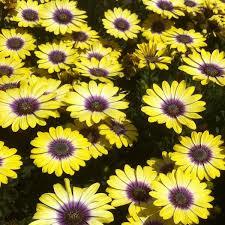 Amazing yellow flowers that fade to a purple center. 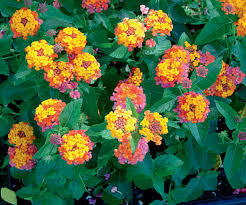 They stand tall and beautiful in a pot on the patio or in a flower bed. 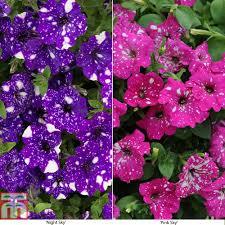 Incredible petunias, each one individually sprinkled with white. 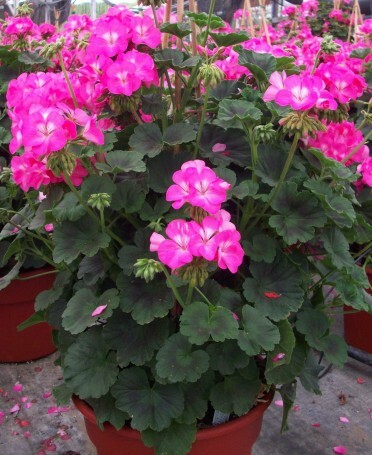 Fabulous in pots, hanging baskets, or flower beds. 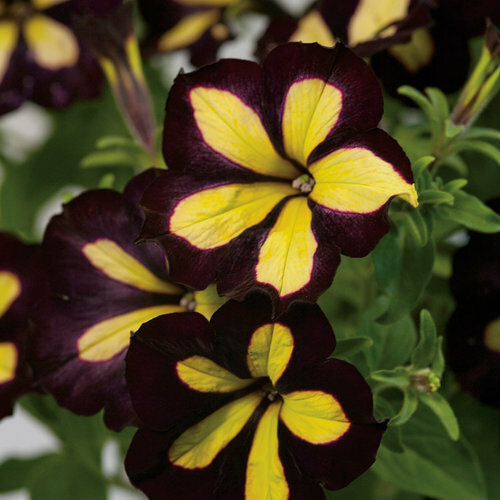 ​Strikingly beautiful, this purple blossom, sometimes so darkly purple it appears to be black. 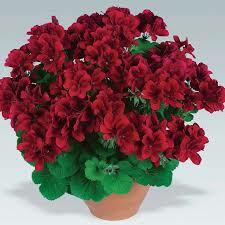 ​PILLAR Climbing GERANIUMS, a Garden Gate Favorite, are what is in our BIG Large 24" Containers. Plant with Supertunias for a large "Wow" effect. This is a new Pink Variety which we trialed last year and love. ​Glow Blue Stardust Petunia is a compact plant featuring light blue blooms with star-shaped white striping. This variety has a spread of 12-14 inches, requiring a space of 8-12 inches to properly grow, and an optimal height of 8-10 inches. ​For a couple of years Easy Wave Red Velour (such a beautiful deep red) appeared on the market. This year we have another new color-- yellow. Waves come from seed. Wave is the most versatile of all large-flowered spreading petunias – perfect for solo and mixed planters and baskets, gardens and landscapes. 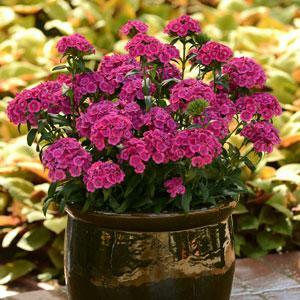 ​Purple Lobularia: Abundant, fragrant, purple flowers on ball-shaped, semi-trailing plant. Height: 4-8 in. Spread: 15-30 in. Spacing: 15-20 in. Aggresive plant. It's not just another allysum. You won't believe your eyes! ​Dianthus Jolt!! This is an Interspecific dianthus with brightly colored and large, showy flower heads on strong stems that perform extremely well all summer long. Jolt is the most heat tolerant dianthus on the market, sporting very showy, bright pink fringed flowers. An All American Award Winner last year!!! Early Springs Lobelia has improved heat performance. Early Springs will flower profusely around the country from early spring and into the warmer days of early summer. For northern areas of the country with milder summers, Early Springs Lobelia can bloom all the way in to fall. New color--Magenta! Isn't this sad!!! All these flowers and only one new vegetable. It's name is GYPSY. Gypsy performs well under moderately warm conditions. 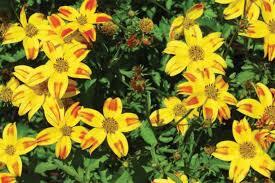 It is a medium-green hybrid that yields overall uniformity. Gypsy has a strong root system and downy mildew intermediate resistance. Gypsy yields excellent, smooth, dome-shaped heads with medium-small beads. We love veggies. Sun Sugar yellow tomatoes can't be beat as a cherry tomato. My favorite is Parks Whopper--it's fairly early and quite large. Of course we wouldn't be a garden center without Early Girl and Sweet 100's. People ask me what is the best tomato--my answer is any that get's ripe! And, don't forget all those colored peppers!